The CPMR Baltic Sea Commission organised a workshop on Smart Specialisation Strategies and digitalisation in the Baltic Sea Region, in the framework of the yearly West Swedish Forum. The 2017 edition of the West Swedish Forum, hosted by Region Västra Götaland, was held on 7–8 September in Trollhättan, in Sweden. The theme of the Conference was the EU and digitalisation. 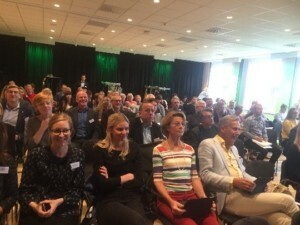 The event gathered more than 250 representatives from Region Västra Götaland, Region Värmland, Region Halland and municipalities. Ms Ann Linde, EU Minister of Sweden and Jens Nilsson Member of the European Parliament (SE/S&D) were keynote speakers. During the two-day event, the Executive Secretary of the CPMR Baltic Sea Commission, Åsa Bjering, organised a workshop on Smart Specialisation. She presented the work of the Baltic Sea Commission in relation to supporting the creation a Smart Specialisation Financial Platform. She also presented the on-going pilot project Baltic Digital Transformation lead by Region Västerbotten and linked to the EUSBSR ERDF Managing Authority network, which the Baltic Sea Commission is working closely with.